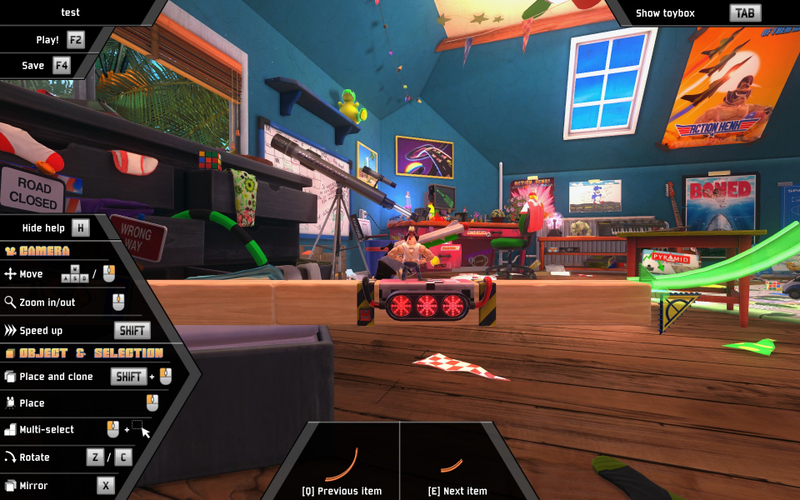 A toy-built monument to momentum: action figures race through dizzying tracks to settle their differences, collect medals, and unlock outfits. 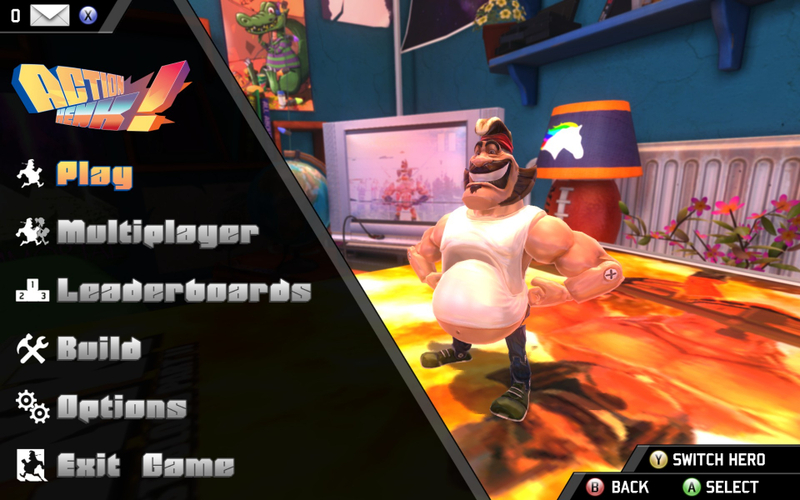 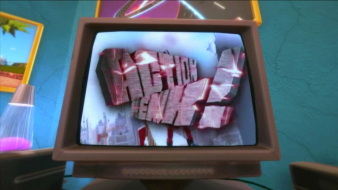 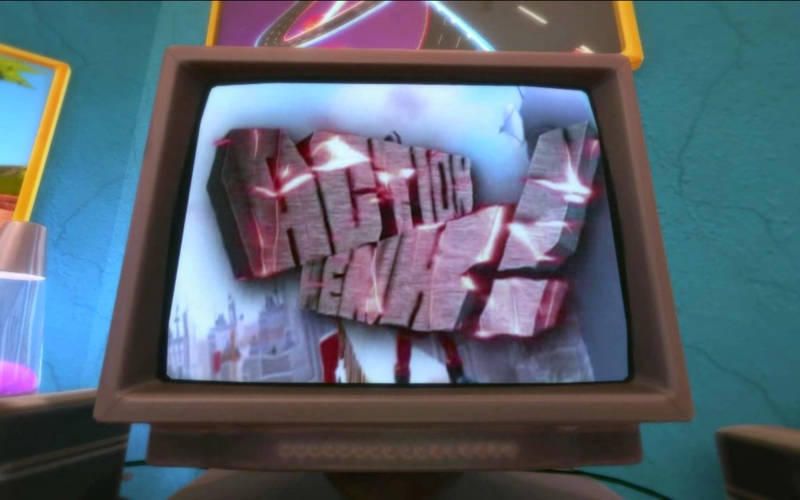 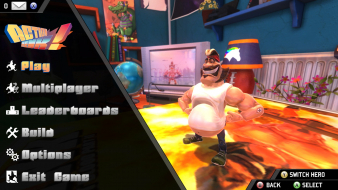 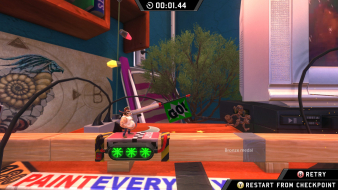 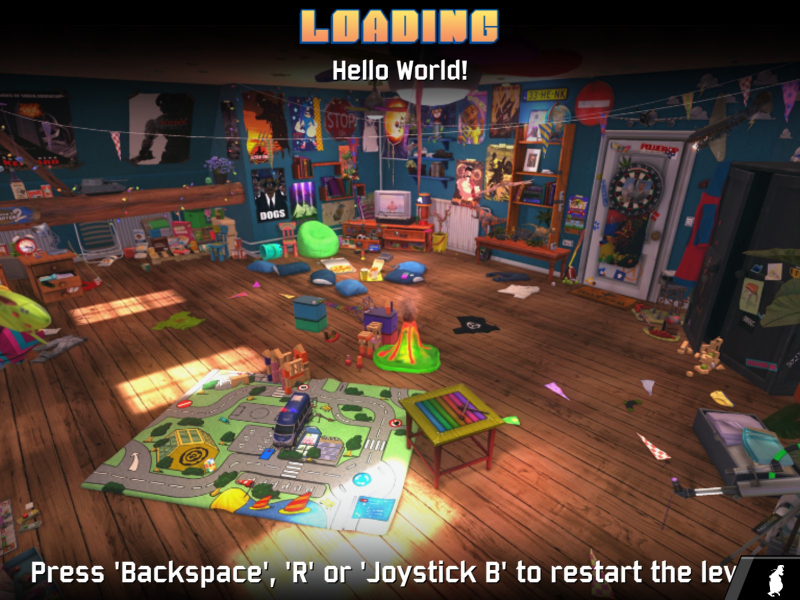 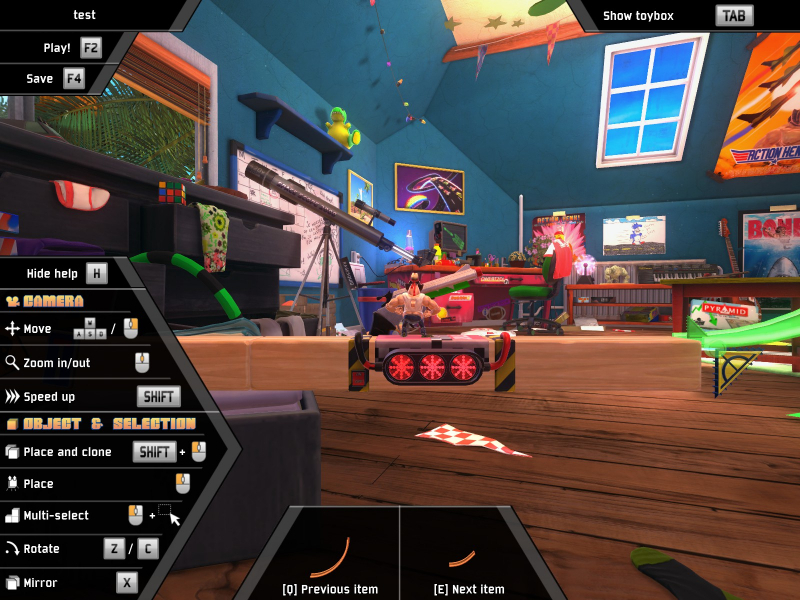 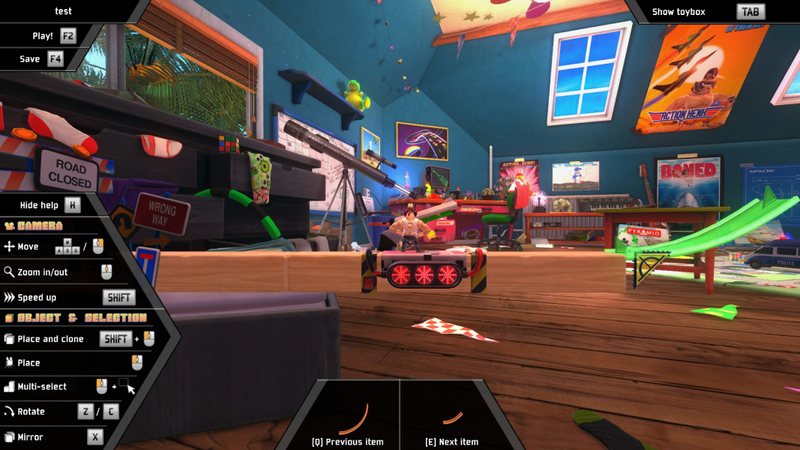 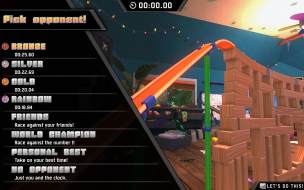 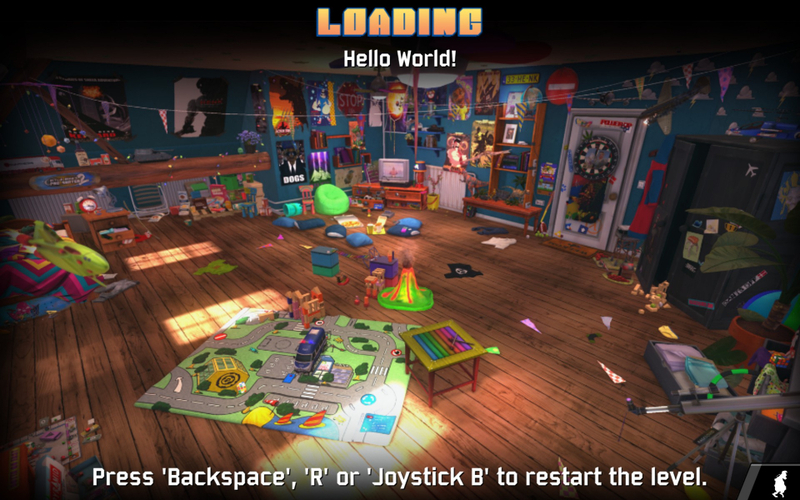 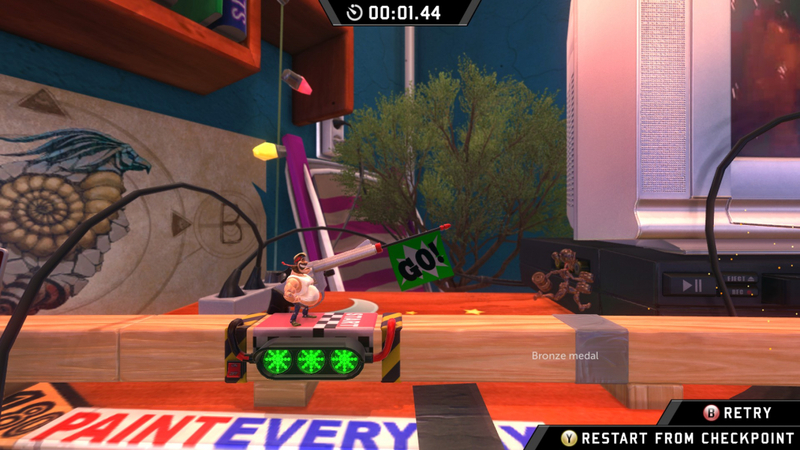 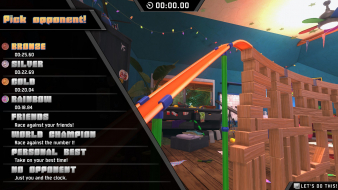 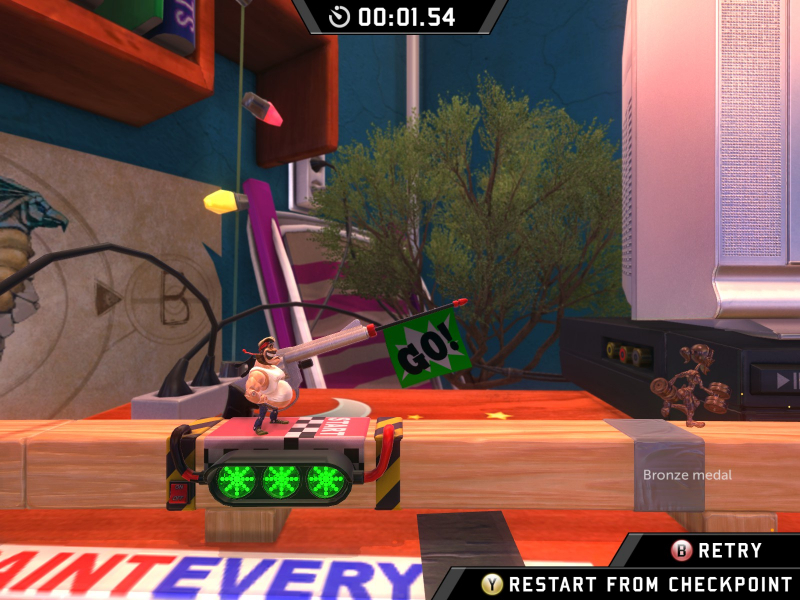 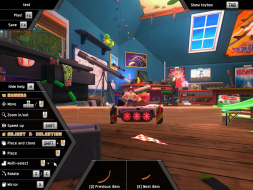 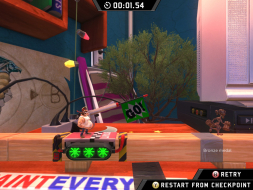 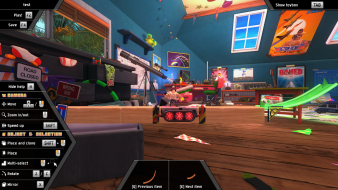 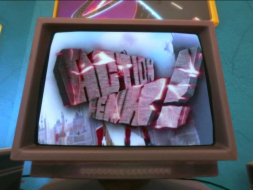 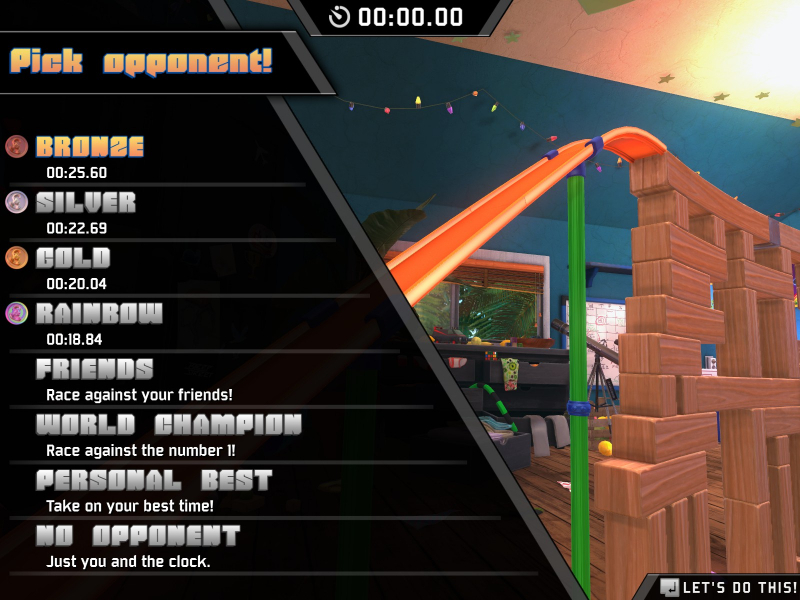 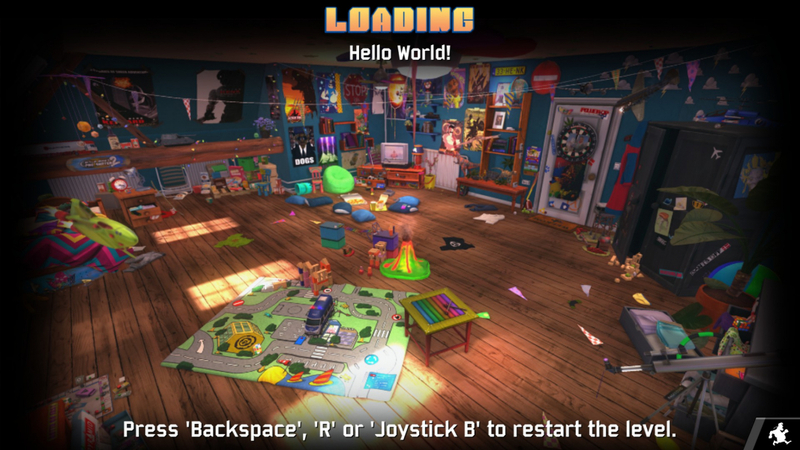 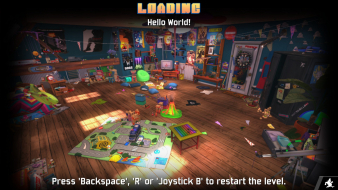 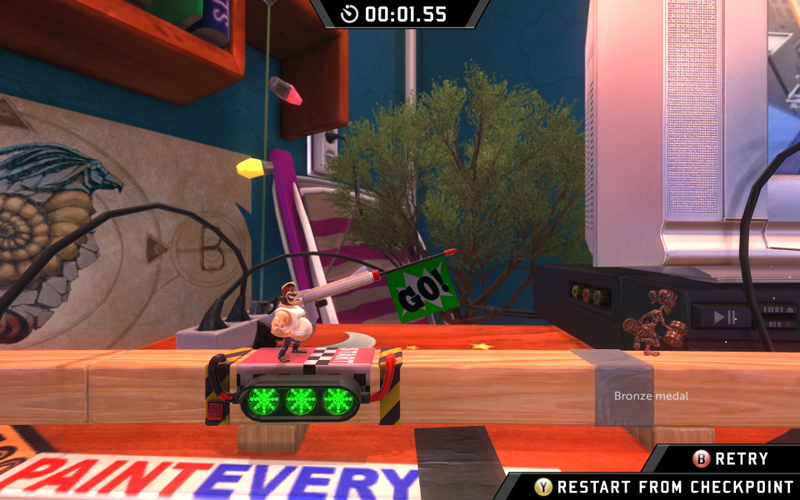 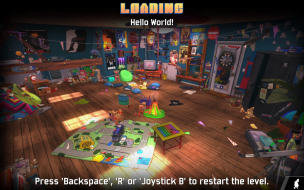 Action Henk features 5 character models, 70+ trials over several environments like disco- or halloween-themed tracks, and comes with an easy-to-use level editor. 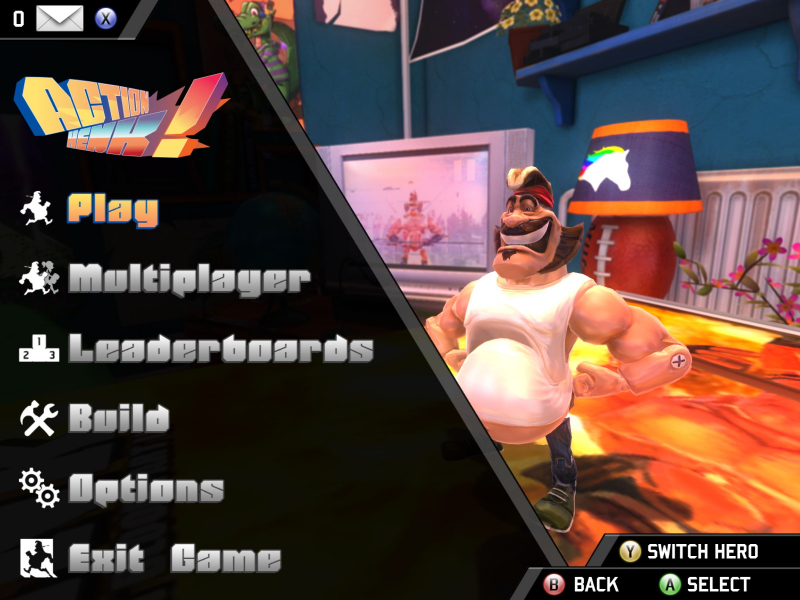 Online multiplayer is cross-platform (Windows/OSX/Linux) although the game is lacking a local versus mode at the time of release.